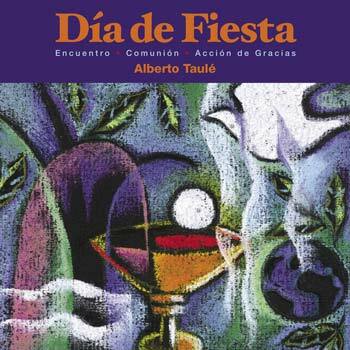 Día de Fiesta offers 12 songs for the liturgical year. Focused in two particular moments of the liturgy: the entrance procession and Communion, this collection by Albert Taulé is perfect for Spanish-speaking assemblies. The late Monsignor Taulé believed that every parish should have a dynamic, evolving repertoire. As pastor at the oldest church in Barcelona, he knew from experience that quality music and the regular introduction of new songs are vital to the spiritual health of a parish. Día de Fiesta gives Spanish-speaking assemblies 12 solid, accessible new songs for every season of the year. Composed to inspire pious listening and meditation, the six songs for Communion feature short, easily memorized responses. Multiple verses, arranged for soloist and small choir, allow for longer processions. All 12 songs use Scripture-based texts for the entrance and Communion antiphons. As Father Taulé explains in the songbooks generous performance notes, there is danger in a static repertoire. Sung too often for too long, music can lose its impact. Día de Fiesta is a wonderful solution for Hispanic parishes, expanding the repertoire for the beginning and heart of the liturgy. Note: A long-time, beloved member of the OCP family, Alberto passed away in March 2007, shortly after finishing this, his last collection of liturgical music. May he rest in peace.